You must make reservations at least 5 minutes in advance of the time at Frankenmuth Bavarian Inn Restaurant. Large lot across wooden covered bridge. Free shuttle service between Bavarian Inn Restaurant, Bavarian Inn Lodge, and RiverPlace Shopping. In a town know for it's fantastic festivals and events, we may have something for you. Wine dinners, bourbon dinners, Princess Days, Dinner shows, & Beer studies, just to name a few! Save yourself hours of planning, cooking, serving and cleaning! 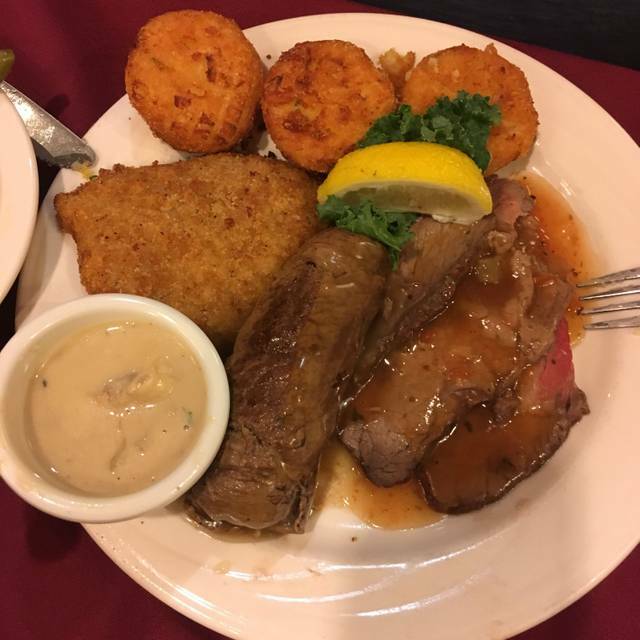 Let us bring Frankenmuth to you! We customize a package to fit your needs with different levels of service perfect for outdoor open houses, your favorite destination wedding, or even inside a 4,000 person manufacturing plant. We can do it all! 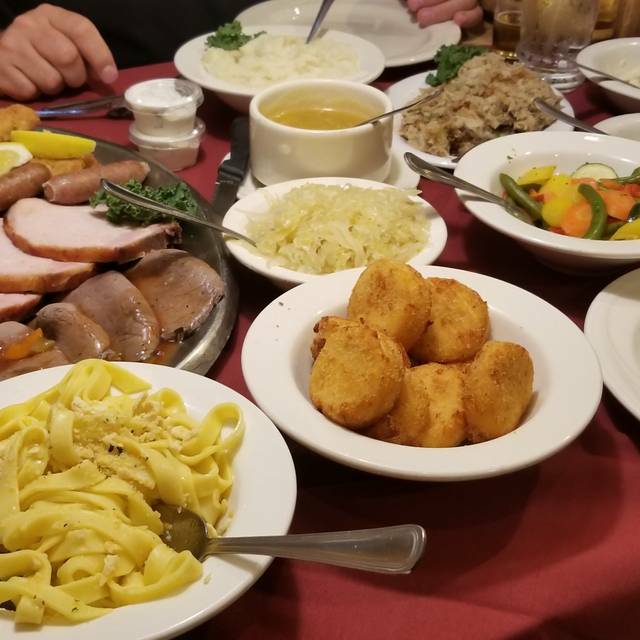 For family-style dining with offerings of Old World flare, visit the restaurant at Bavarian Inn of Frankenmuth in Frankenmuth, Michigan. The venue offers seasonally available fare made from scratch daily. 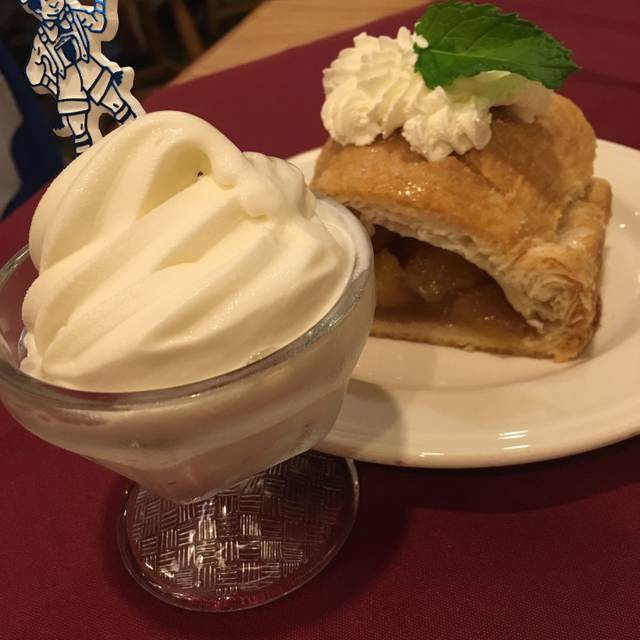 Dish options at Bavarian Inn of Frankenmuth include Family-Style Chicken dinners, traditional German dishes, as well as many locally grown Michigan products. All dinner options come with bread, noodle soup, pasta salad, mashed potatoes & gravy, buttered noodles and much much more. 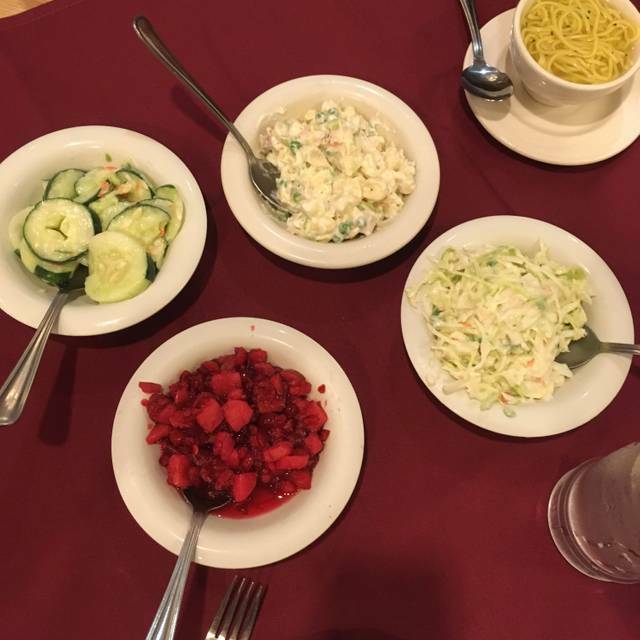 Visit Bavarian Inn of Frankenmuth for lunch as well to satisfy your midday cravings. Lunch specials can include lighter fare plate style meals, soups, salads, and specialty sandwiches. Lunch menus available on request any time of day or evening. Somewhat disappointed that the Open Table reservation system didn't seem to connect to the restaurant for some reason and they didn't have our reservations. 2nd time it's happened. Food was good and well seasoned, but didn't like the food side selections as well as Zhender's across the street. Overall a nice meal for our family. We did enjoy the shops downstairs. Always enjoy the friendly service, good food and family atmosphere. Great accommodations for large groups. Comforting to know that it's the same as when we were kids. Delicious food and great service. It was the best meal and service we had in Frankenmuth! Our Server, Erin, was amazing! He was so much fun, and so nice, we had a great time. Please tell the manager that we would like them to know what an excellent Server that Erin was. Because of him, we had much more fun, then we usually would have. He actually made our visit even better. The only thing we didn’t care for was the bread. You should offer some other kind of bread, the one you have now. As first time patrons of the restaurant we were disappointed right off the bat when our server was rude and inattentive. The food fell short of the reputation it holds, despite coming in with open minds and high expectations. The chicken seemed bland and some of the side dishes didn’t even get touched which felt wasteful. It was hard to get a refill on bread or side dishes. Overall the experience was not what we had hoped and we left feeling a bit cheated. Had our servers attitude been different we would probably feel better about the restaurant but unfortunately her demeanor and way of speaking was too disappointing and took away from the experience of the restaurant we’d heard so many good things about. My fries came 15 minutes after my burned black bean burgers and my waitress didn't bring the ketchup I asked until the fries despite my saying I wanted the ketchup for my burger. A good meal. Our server was a little slow, but she had a large table. It's a bit pricey for chicken but mostly it's about the scenery. So we pay the price. 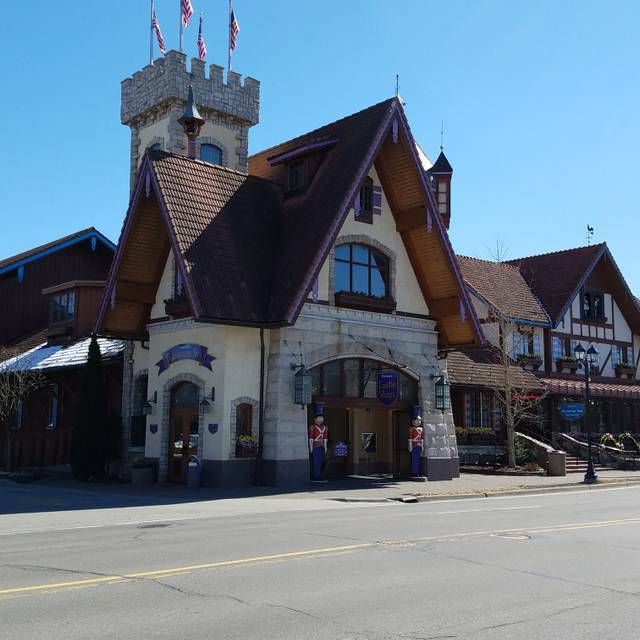 A must for first time Frankenmuth travelers. These portions are home style and huge! Worth doing at least once (even for the fitness die-hards). The service was friendly and the food was fantastic. Definitely coming back on our next visit to Frankenmuth. Our waiter was very nice and understanding, my mother has Parkinson's and Ashzmers, he was patience and kind. We always have a nice dinner at both restaurants. With a menu where basically everything is 25 bucks the food should be amazing. The fried chicken had minimal breading, the pieces were small, lacked seasoning and it was dry. This is their claim to fame. The best thing of the whole meal was the soft serve ice cream, but then again, it's hard to screw up ice cream. The mashed potatoes and gravy and the coleslaw were decent. The bread did not taste fresh. The buttered noodles had no flavor. 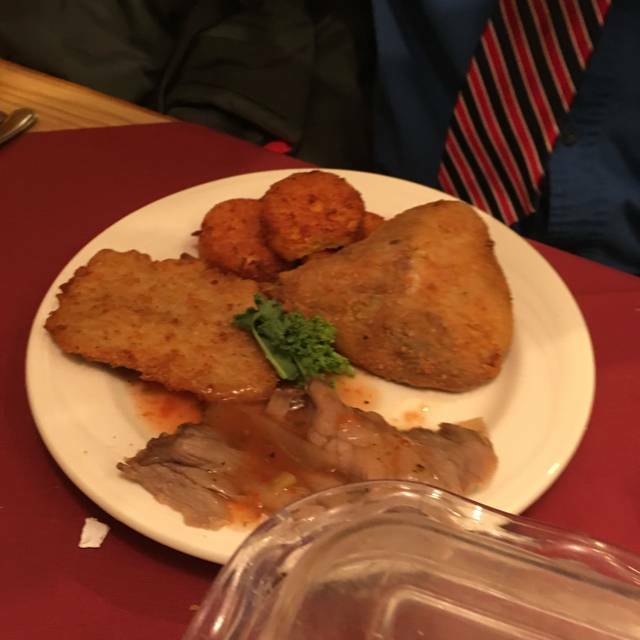 One member of our party ordered the walleye and it was full of bones. Another ordered the chicken cordon bleu and the chicken was completely dry and tough. It was a disappointing visit. We love visiting this restaurant. It’s on the pricey side though. Overall the food was ok. The service was excellent but it's very expensive. A family a five should not cost over $275 including tip for a meal. We did tip our server 35% tip because he was excellent and it wasn't his fault the prices were very high. My 13 year old doesn't eat nearly as much as my 18 year old does but still was charged the same. It was a great meal out but there is a reason we only come once a year. I loved going to Frankenmuth for chicken dinners, however this experience was not good.The waitress was fine but the food was not. Even the chicken was dry and the coating not good. The sides we're so so, noodles tasteless,coleslaw awful,dressing was poor, most were lukewarm.2 of the kids ordered cheese pizza and didn't eat more than a bite. I was very dissatisfied. Reserved table was not ready for 1/2 hour after our reservation time. Koby was a great server was on top of his work and did well keeping our table up. Everyone was great and the food was good as always. Thank You for such an amazing meal for my daughter her friend and myself. Staff were so friendly. Food was delicious .its pricey but its worth it. We enjoyed it. Chicken dinner not worth the drive or high price. The service was excellent however. 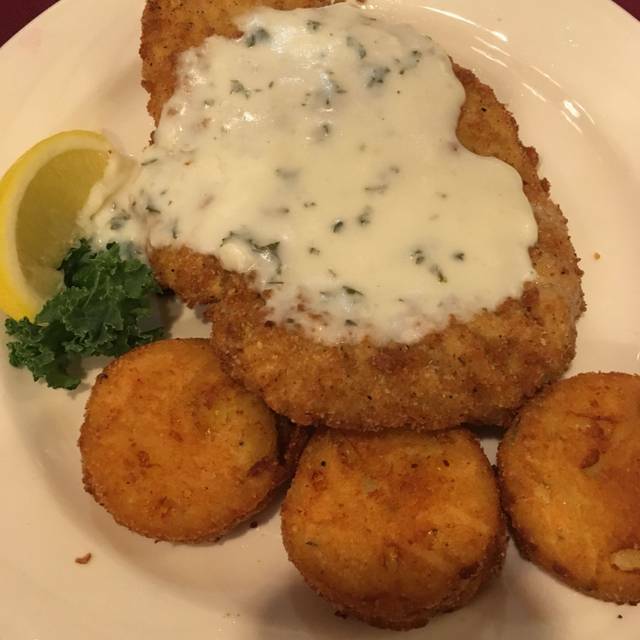 We always love to visit Frankenmuth for so many reasons, but the famous Chicken dinner is right at the top of that list! Thank you for creating a relaxing atmosphere to take a break and have a fantastic meal! My daughter and I had a tremendous meal we had some great conversation and the waitress was absolutely friendly and outstanding. Everything was wonderful from our server to the buttered noodles! Love this place over and over again. We wanted to like this place but the meal was terrible! We found the quality to be completely lacking, the flavors bland and the the food overall not worth eating. The ambiance is fine- kind of out dated but a bit charming. The service was fine. Nothing special, but got the job done. My husband liked his beers well enough. We are sorry to read your review RebekahM. We always strive to provide the best food and service to our guests. If you would like to talk with someone about your visit, please call the restaurant at your convenience and speak with a Manager on Duty. 800-228-2742 Thank you again for taking the time to comment. What a wonderful experience! Thank you for a wonderful first time Michigan experience. Food was served hot, plentiful and delicious! Our server was exceptional as we were a party of 12 and he certainly did an outstanding job! We were able to use our half of second dinner coupon, which always helps with the cost for a family! My family loves to go to Frankenmuth, we take the day off and enjoy it approximately every other month if we can! Can’t beat their birthday program...if you join you get a free dinner the month of your birthday and the Perks program is worth joining too! This is wonderful to read and thank you for sharing! Do you happen to remember your server's name? I can pass along the super comments! Thanks again! Come visit soon! 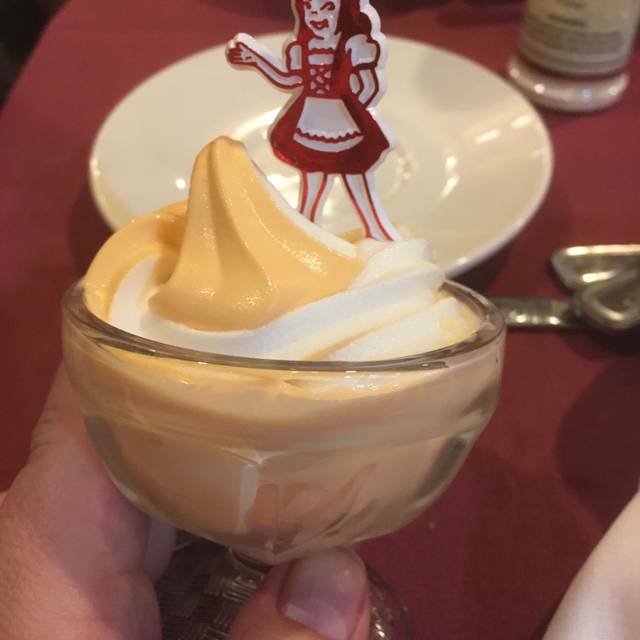 We always enjoy our visit to Bavarian Inn. The taste of the food is well worth the 2 hour drive from home. 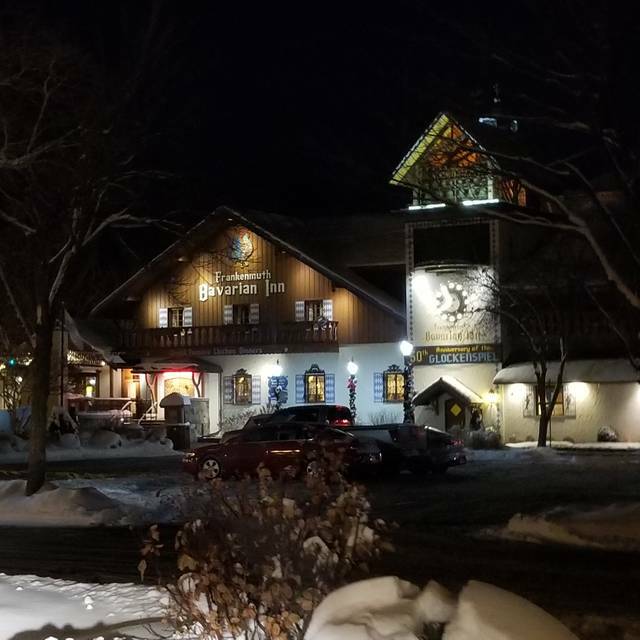 As always, a great dinner with great service at Frankenmuth Bavarian Inn...a family favorite! Always great food and fun! Why don't you automatically get jelly any more? Wish you were closer but we still make it up there every month or so.